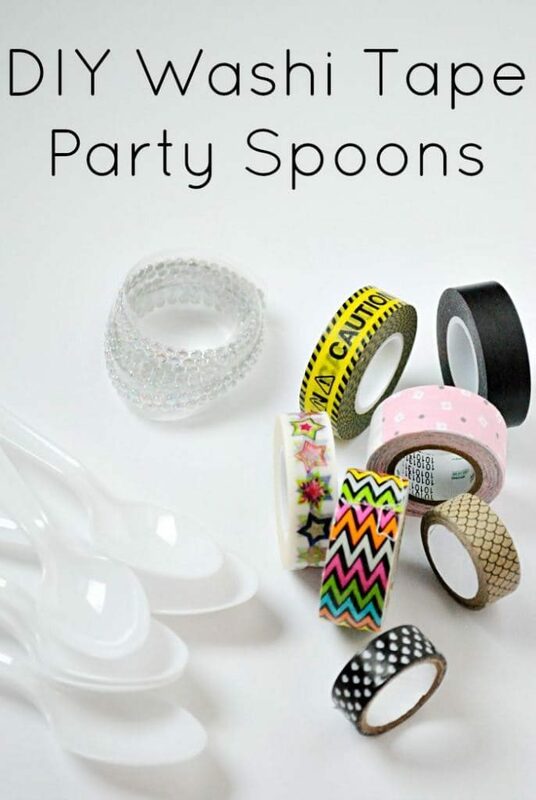 When throwing a party, or just to make things fun, you can easily find a rainbow of colored spoons at a party store. For me though, I wanted a super easy DIY project that would let a bit more personality shine through. 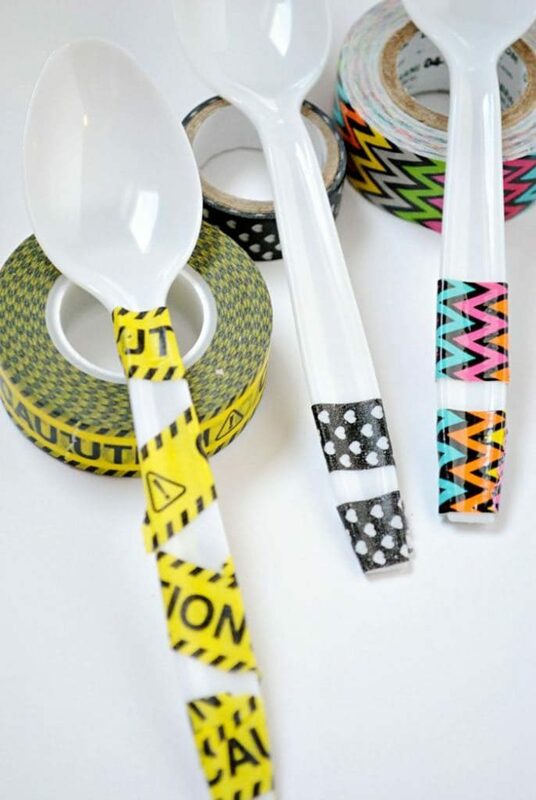 Here you have it: DIY Washi Tape Plastic Spoons! 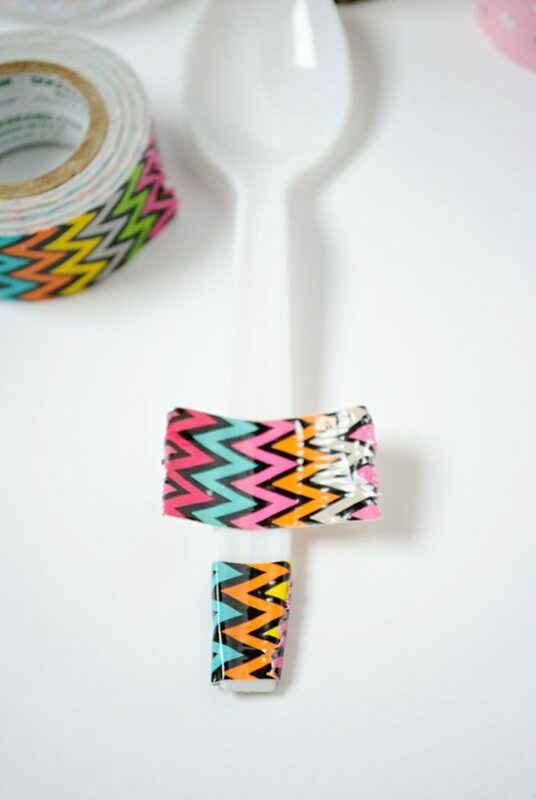 This craft is perfect because all you need are rolls of fun washi tape and plastic spoons. You could even do forks and knives, especially if you are throwing a birthday party. 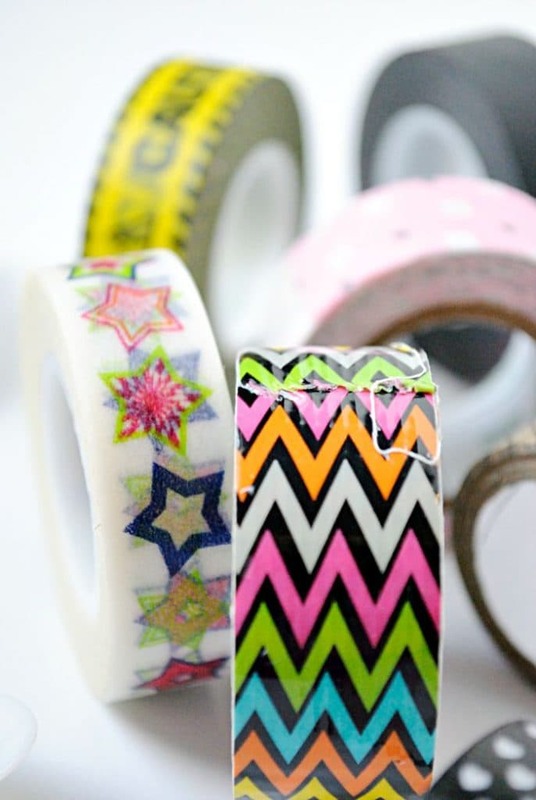 Look in any craft store and you’ll find various brands and styles of washi tape. You can also shop online and find TONS of fun designs. I found all of mine at craft stores, and one of them (the cool chevron) is actually Duck Washi® Crafting Tape! It feels like duck tape, so it’s a touch tougher to tear, but I had no problems with it. You can easily have scissors handy if you want a clean edge. Tear (or cut) small pieces of tape and wrap around the handle part of your spoon/fork/knife. Done. You can mix and match your washi tape for really unique looks, you can cover the entire handle, you can leave space in between, totally up to you. It’s a fast and easy craft to add just a touch of personalization and fun to something that’s so boring. This post does contain affiliate links. 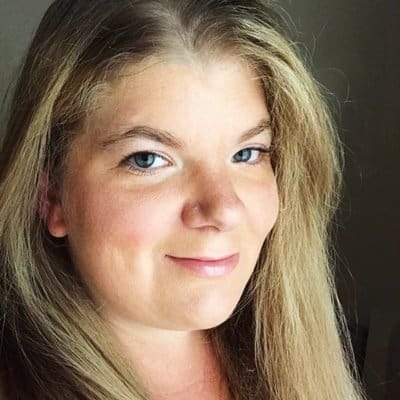 If you click through one, thank you! « Guess Who’s Back?! M&M’S® Crispy!